Internet has become a place of sharing information and knowledge. Every other person wants to have his own identity on internet. All offline business are shifting to online portals and websites. But how do they do this? Blogging is the answer. 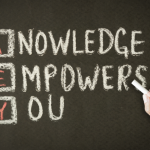 The most common way of sharing knowledge, opinions, content, and ideas on internet is via blog. Do they spend lots of money to come online and sell their product? My answer to this question is “It depends on the correct guidance”. Yes it does make a difference by huge amount. You can start your online career with a small investment of under 5k or if you are unaware of this then you might land up paying more than 20k to the website designers and other mediators for doing the same work that you can do sitting at home. Q How to start Journey on the first blog? Q What all do I need to start my blog? Q How to do blogging? Q How much do I need to spend to start my first blog? Q Does blogging requires coding experience or knowledge of website designing? Q How to bring your website live on internet? If you are having any of these questions then we are going to answer all these in this particular article. And if you have any other question other than those stated above, you can ask us because there is no harm in asking. If you are looking to start your first blog then you need to spend under 5k. How come there is no fixed price? You need to buy 2 things to start your blog. One is your domain name and the other is the hosting. Domain names are cheap to buy if they are not on auction and available to purchase. You need to think of a name that will be the name of your blog on internet. Like quikrpost.com, facebook.com, snapdeal.com, amazon.in etc. A domain name is the part of your Internet address that comes after “www”. For example, in www.quikrpost.com the domain name is quikrpost.com. If you are having problem finding a perfect domain name for your blog or website, you can contact me @ anuragajmera12@gmail.com and I will arrange one for you at a very small cost which will include your domain price as well. When you plan to put a site online, this is one of the important steps “to buy a domain name”. This is always not necessary that whatever domain name you are looking that is available so in that case you will have to opt for any other good domain name. Information you should know “When you buy a domain name, it is registered @ ICANN and when domain names are registered, they are added to a large domain name register having millions of other names also. They store the information about your site – including your Internet IP address is stored on a DNS server and your contact information etc. is registered with your registrar’. You can buy domain name from any domain registrar like GoDaddy.com, bigrock.com, hostgator.in and many others. If you are having difficulty in deciding which one is better than I would recommend you to buy it from bigrock.com. You can also choose among the various domain extensions like .com, .in, co.in, .edu, .guru, .blog etc. The .edu is meant for educational institutes, .gov is for governmental organizations while extensions like .guru, .blog are really costly and not yet very common in use. .com – Stands for company/commercial, but it can be used for any web site. .net – Stands for network and is usually used for a network of sites. .org – Stands for organization and is supposed to be for non-profit bodies. .us, .in – They are based on your country names so that you can go for country specific domain extensions. .biz – A newer extension on the Internet and can be used to indicate that this site is purely related to business. .info – Stands for information. This domain name extension can be very useful, and as a new comer it’s doing well. .tv – Stands for Television and are more appropriate for TV channel sites. You can check out the other domain names extensions on Wikipedia. While many people love to have a keyword in a domain name, it should be small and easy to spell. You should try to keep the domain name short, free of special characters and memorable. 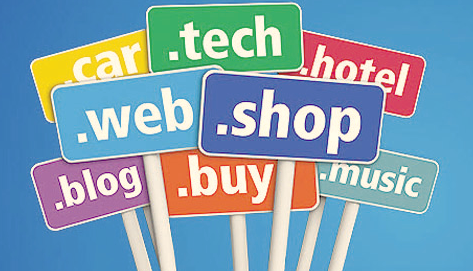 Avoid buying long, and confusing domain names. Single word or double word domain names are easy to remember and they are very much loved by the readers. 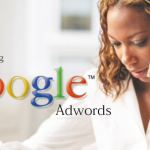 It also helps in making it easier to using your keywords in getting keyword rich descriptive inbound links. You should be able to say it over the telephone once and the other person should know how to spell it and they should know what you sell. If you can do that than 50% of your website is already a hit on internet. Hosting is required to save your data which will be published on your blog. You have the name of you blog, now you need space on internet to start your blog. Without space you cannot publish anything on internet. This is where you have to spend around 4k to get a best hosting package. You need to make sure that your hosting servers are very good and will not show you messages such “server down”. Many hosting providers are very cheap but they don’t provide you with best after sale services. Many have big offers running and you need to get them at the right time from the right place. 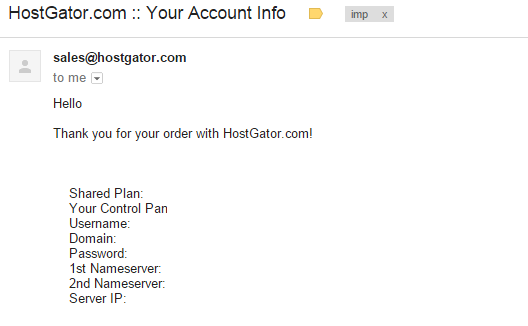 I would recommend you hostgator.in, since I have been using it for last 2 years and have not faced any issues related to services and product. They are quick in resolving your queries and have online chat available to solve your problems. It is a very popular and US based firm with branches in India as well. The hosting package is provided with many other options like security, email managing, control panel, and many others. For the extra they charge you extra money. 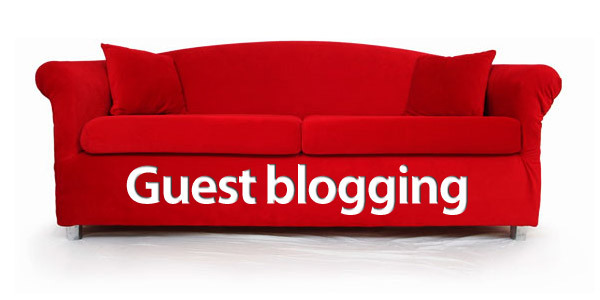 So do make a quick survey that what all do you require to start you blog in minimum cost. You can contact us (anuragajmera12@gmail.com) for any such cost management where our staff will help you decide the best offers and facilities at minimum cost. We have various marketing links with hostgator and bigrock so we will find you the best offers available with them. And some extra discounts for being our guest. 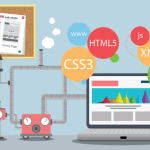 With Hosting you get a package of tools that are very easy to use and you won’t need any prior experience with coding and website designing. All you need is some creative skills and an idea to start with. Although having a knowledge of coding will surely help you in being more creative but now there are many small plugins (apps) that works with tool and are capable of doing anything you require. So your creativity is not limited with the use of just the tools. We have shared the best plugins used in industry and are very essential for your website. You can check out the list of top plugins. You might be unaware of the word plugins right now but later in this post you will soon come to know what are they. You Already Have a Web Hosting Account ? On registration you get server IP and name servers. Also you get the password and username for your account. “Name servers”, or “DNS servers”, loosely speaking, are the things that will translate your domain name to the actual location of your website. The list of name servers will often look like ns1.example.com, ns2.example.com, and so on, where “example.com” will probably be replaced by some other domain name used by your web host for their servers. Your web host may give you 2 or more name server addresses. Note down all these names. Once logged in, you will need to look for some option to either set your domain’s name servers or change them. Select the domains for which you want to set the name servers. Once you manage to find the correct page to change your name servers, you will probably see a form that lets you enter things like your “Primary Name Server”, “Secondary Name Server”. A domain name should have at least 2 name servers associated with it. They are there to provide a bit of redundancy, so that your site will still work if the first name server fails. Once you’ve set your name servers, you’re done. Yes, you read that right. That’s all there is to it. You’ll have to wait a bit, though, before you can access your website using your domain name. Now look at the icon with the name QuickInstall. Once you are ready with your name servers hosting you need to click on that icon and open it up. This will lead you to the page where you can select to install the back-end software for you website which will serve as the back bone to your website. We recommend wordpress because it is one of the best content management system for websites. check out others and make good choice. How to start your journey on the first blog? We have everything in place. We have the website live on internet working as smoothly as butter. We have the required tools to start posting articles or publicizing products. Plugins are various apps that help you in your blogging and ads more options of creativity to your blog. We have a list of some essential plugins that are required in blogging. Don’t install them all at once. Install them as and when required. Widgets are basically java scripts and help you to add dynamic content and side bar options in your website. They are a type of plugins and can be installed via plugin install option. The theme of your website is the template that your website will hold. The look and structure of your website or in lay man language “the footprint” of the website is your theme. You can change the theme of your website anytime with the themes options but we would suggest to choose the best suited theme initially and stay with that. Switching between multiple themes might crash some plugins and you might face problems in your website looks. Many themes have the theme options which helps you in changing the various formats of your theme as per requirements. There is an option for changing the settings of your wordpress dashboard and website, like permissions and user related. You can check out all the settings and use them as and when required. Now the question that comes to us is how to use those tools to start with our first perfect post. TIP:-Try to become familiar with each and every tool in the initial stage so that you may not face any difficulty later. You can experiment with your website and tools and see what this tool can do when the website is in its initial phase. So do some learning and then start working on your blog. Later when you have done some posting and blogging there won’t be much scope for testing and experimenting. Don’t worry we are not going to leave you in between all these tools alone. We will guide you how to start with your first blog post and after that you will be able to write and post any other post on your website. Before we start with that we would suggest you to install a plugin named “TinyMCE Advanced” and check the difference in your visual editor when writing a new post. Now paste your article in the main section and add a title in the title section. Now do the required formatting and then check the preview of the post. On the right side you will find the option of preview and publish. Don’t publish the post unless you are ready to. Check the preview and then include the changes in the post. You can add media files like picture, video, audio, file etc. in your post. You can change the text style and size also. You can change the color of the text and can even add link to the image or text anywhere in the article. You can save your post as a draft for later publishing or you can set a schedule time for publishing the post. This way you won’t need to login again to publish, it will automatically get published at the scheduled time and date. You need to add some tags (keywords) to your post that will help the google search bot to identify your post and rank it. You can also add some meta description to your post which will be visible as a short description on search results. This is all you need to know to start to post on your blog. Go and publish your first post and share it with your friends and circles. The Question might be small but the answer is not and cannot be explained with just a single post. To learn to do blogging you need to learn many parts of blogging. We have a section on blogging that is completely dedicated to blogging life where you can learn everything about blogging which can lead your blog to the path of high ranking and popularity. The important point to remember is taking small steps that would lead to productive results instead of rushing into something without giving a deep thought. With this thought we would hope to listen from you and share with you more on blogging. 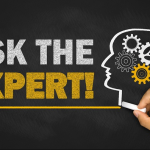 You can ask you queries and share your opinions in the comment section where we may unfold some more knowledge.